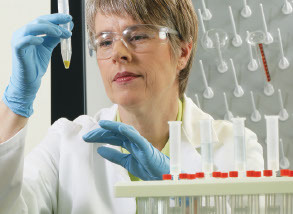 High-quality plasticware, glassware and supplies designed to perform perfectly in demanding laboratory environments. Trust products developed by experts in designing for performance, usability and cost-effectiveness. Glassware is one of the staple products used in every laboratory and Thermo Fisher Scientific offers you a range and choice of products which will suit every budget. We offer high-quality plasticware designed to perform perfectly in demanding laboratory environments, from trusted brands such as Nalgene, Azlon, Kartell, Belart and LabServ. Filtration products including bottle-top filters, cut-disk filters, filter units and syringe filters. Rapid sterile filtration of even the most difficult to filter fluids. Choose only the best surfaces optimised for cell growth from our extensive range of specialty plasticware. Handheld and automated pipetting systems are trusted products that include Thermo Scientific Finnpipette and Thermo Scientific Matrix. We've expanded our offering with additional consumables from MBP, including ART Aerosol Resistant Tips. Chromatography consumables including premier columns for HPLC, GC, LC, IC, RFIC, Bio and SPE phases. Innovative hardware designs, chemistries and formats, including 1.9um ID columns, that help reduce acetonitrile usage by up to 80%. Products designed to safely contain and organise cryogenically preserved samples. Protect valuable samples safely and economically. The optical superiority and surface quality of Thermo Scientific slides and specialty glass provides you with reliable, quality results across a range of pathologies. Plates, tubes, strips, sealing options and storage plates for PCR and related applications. An unsurpassed range to meet the requirements of any laboratory. Each Traceable product is individually serialised, calibrated and certified.